Web-GUI and user-extensible command library for managing applications and services remotely. The end game is an administrator tool that can manage even a complex cloud-computing-like system as a hybrid virtual and real server farm. Turm can run from any LAMP system, (Linux Apache MySql PHP), and control any SSH-accessible client. Unix/Linux, Os X, and possibly even Windows via freeSSHd. Realtime operations over SSH on the remote systems. MySQL based PHP generated jQuery, jqGrid frontend. Execute a script on single or multiple remote hosts simultaneously via ssh . No client installation required. May work on any host with a ssh server. Php/mysql based. 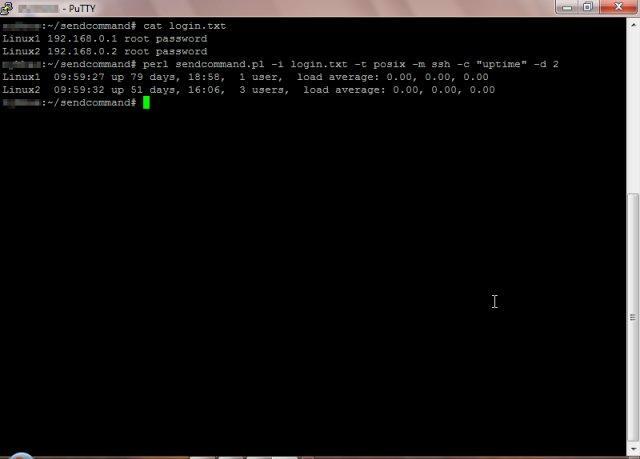 SendCommand is a Perl script that uses the Expect library to automate telnet and ssh sessions on remote hosts (Cisco, Netscreen, Bluecoat and more). Executes commands and outputs results to stdout or into files. It aims to be a very flexible tool. Supports Cisco Routers / Switches / ASA, Juniper Netscreen, BlueCoat ProxySG, TippingPoint IPS and Linux systems. Uses an input file containing list of hosts to automate login. Output file names and commands can be derived from hostnames or any variables from the input file. Useful tool for creating daily backups of multiple remote hosts. Useful tool for batch configurations of remote hosts. 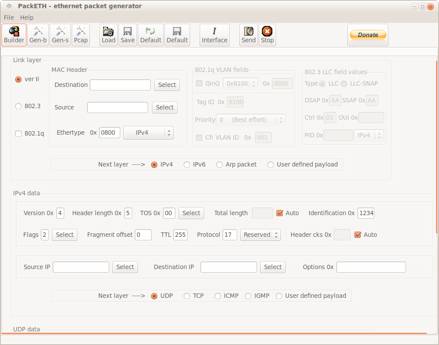 PACKETH is GUI and CLI packet generator tool for ethernet. Primary it is developed and maintained for Linux, but some ports for Windows and MAC have also be done. 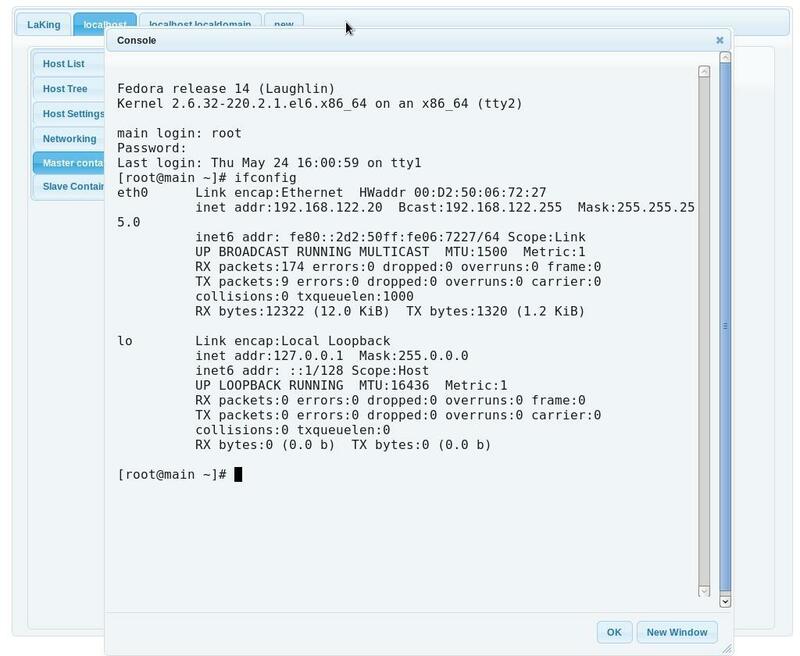 It allows you to create and send any possible packet or sequence of packets on the ethernet link. Main advantages are that is really simple to use, powerful and supports many custom features. And lastly, it has the most beautiful web site of all the packets generators. 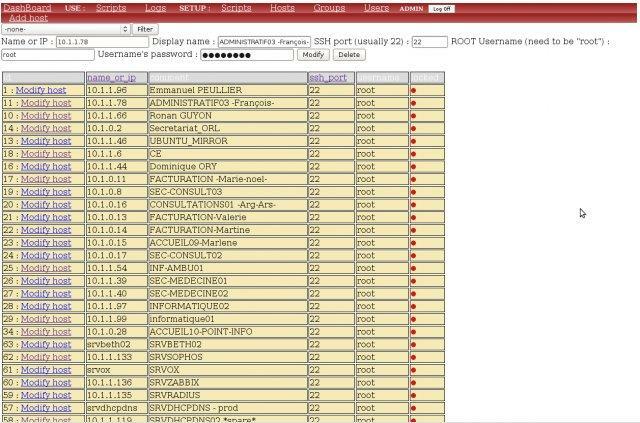 VoIP monitor is packet sniffer analyzer wav recorder for SIP calls. It calculates MOS (Meaning Opinion Score) by E-model (ITU-T G.107) and stores statistics to MySQL database. Primary goal is to provide complete platform for VoIP quality measurments. Detects terminated calls when SIP BYE or OK is missing. 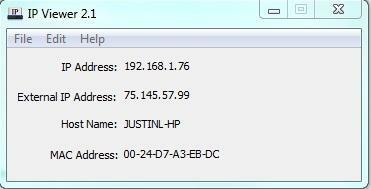 A small Windows tool, which set your IP configuration by the SSID of the connected WLAN. After the settings are stored, you need 0 clicks to change your IP.